London: how does Europe’s financial hub and one of the world’s most influential cities perform in global rankings that study life quality and social sustainability? Is the Brexit-vote having any influence on London’s capacity to attract tourism and talent? What do the different indices say about the reputation of London, its innovation capacity and business attractiveness? 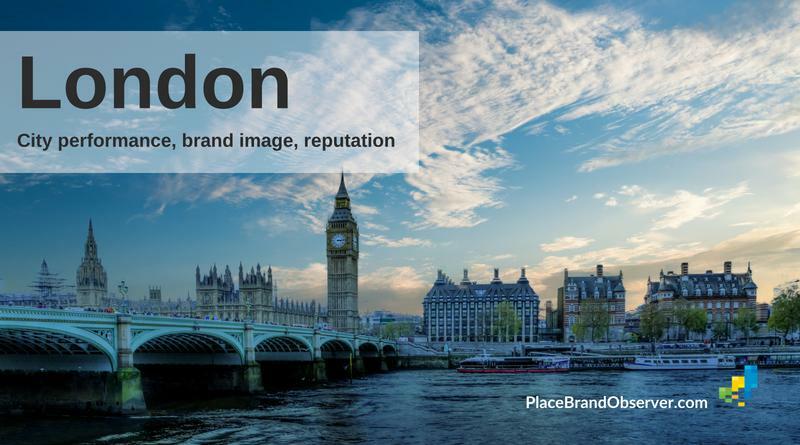 London's performance as city brand and its global reputation. London leads the Global Power Cities index (2017) for the sixth consecutive year. Apart from the overall leading position, it also tops the list in the category of cultural interaction and holds 2nd place in three of the six pillars of the study: economy, research and development and accessibility. AT Kearney’s 2017 Global Cities ranking puts London on 2nd place, right after New York. Not only does London score high in the Global Cities Index, it also takes a very high stand (4th) in the Global Cities Outlook, which forecasts a city's future growth and global influence. Here, London is the global leader in the area of cultural experience, and also tops several sub-indices such as top global service firms, number of foreign students or new agency bureaus. London is the global leader of Resonance Consultancy’s 2018 World’s Best Cities ranking. In this study, London leads in both programming and promotion. The city performs strong across the six pillars of the index: product (3rd), place (5th), people (6th) and prosperity (7th) all fit in the global top-10 of the world’s best cities in 2018. The study brings out that, despite terror attacks and Brexit, the city is still expected to set new visitor records after the already record-breaking numbers of 2015 and 2016. Annual visits are now more than 25% higher than five years ago. This trend seems to be continuing, especially thanks to the new “Tourism Vision for London” that was launched in 2016.